I decided to spend some time playing in the yard today since the weather was so nice. I’m finally getting smart about living in the foothills (don’t plant early! ), so I made it out of Lowe’s this morning without buying a single plant. My plan was for today to be a maintenance day – I pulled weeds, took down cages (my crepe myrtle is ready to be free), and staked my apricot trees. 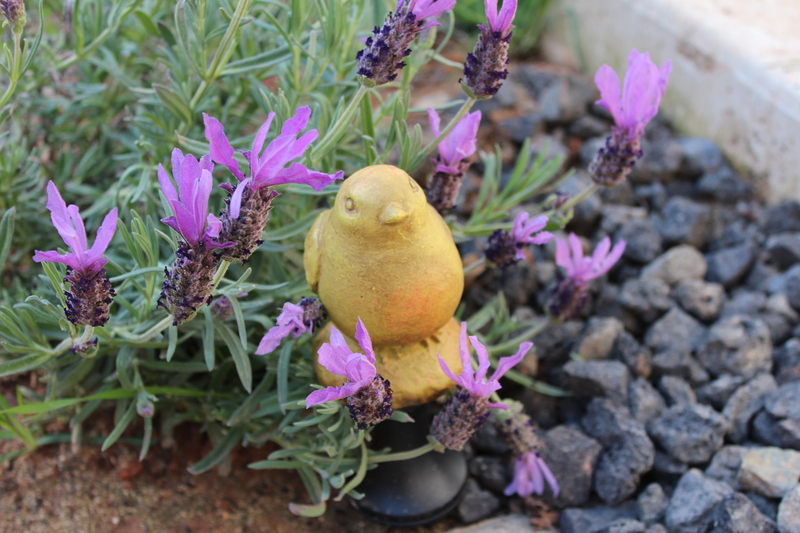 I also installed these cute little birds that have a little spinner on the bottom so that your hose moves around them – basically they go on corners so that you don’t drag your hose over your plants. I love them. I can’t wait for them to get a little dirty and look a little worn. I’ve also been putting in a little time in my vegetable garden. 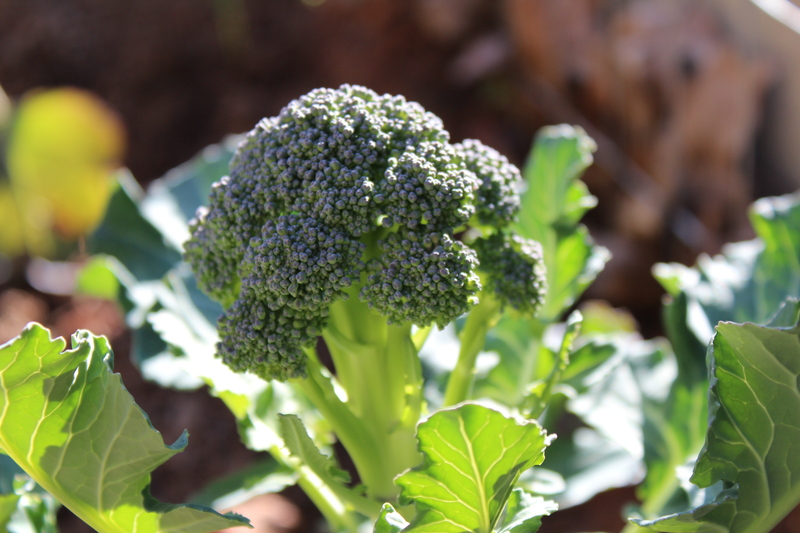 My pride and joy right now is my broccoli – I’ve never grown it before and it’s taken a while for the actual broccoli to show up, but all of the sudden, here it is! They’re still tiny, but I’ve got six of these little heads! 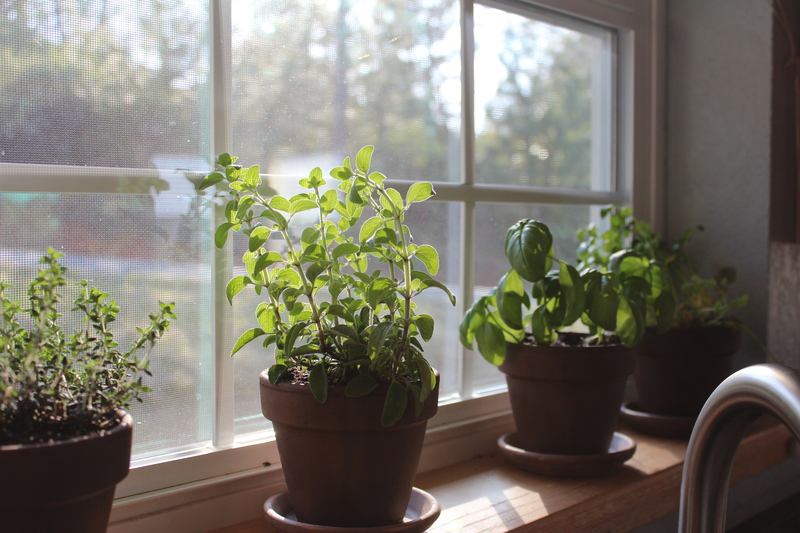 I’ve also pulled together a little kitchen window herb garden. It’s got cilantro, basil, oregano, and thyme. I love mellow days like this. I am so happy that spring is coming and that I have acres and acres of land to play on! Shadow spent the day out with me (Mike spent the day on his bike), so now it’s time for all of us to plop down on the sofa and mellow out!